Wow, have I been busy this weekend or have I been busy? Answer - I've been busy! 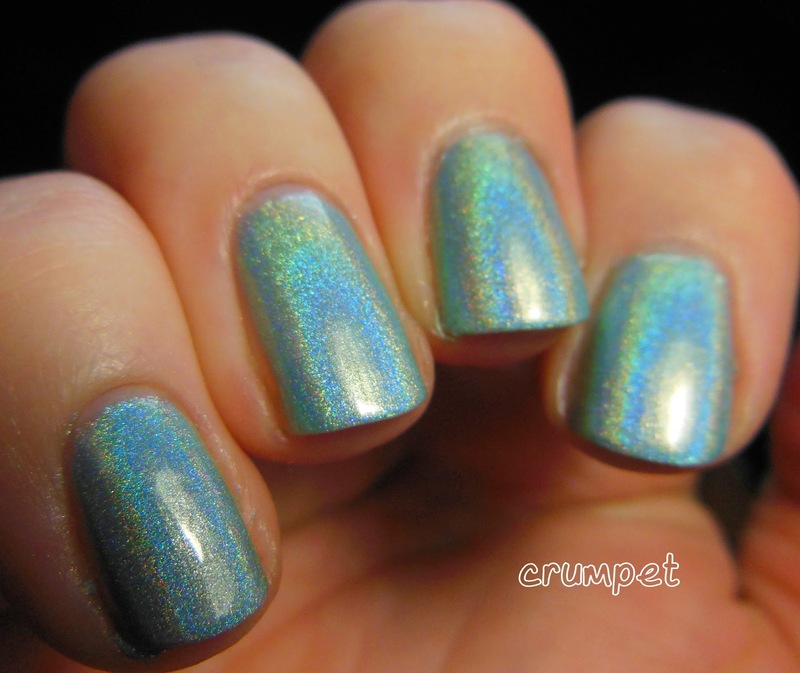 Loads of swatching, review pile almost cleared (I think there's 2 left), nail art here, there and everywhere AND a week's worth of posts scheduled, ALL for you. Today's polishes were sent to me weeks ago, and I am so sorry Charlene that they have taken me this long to review. 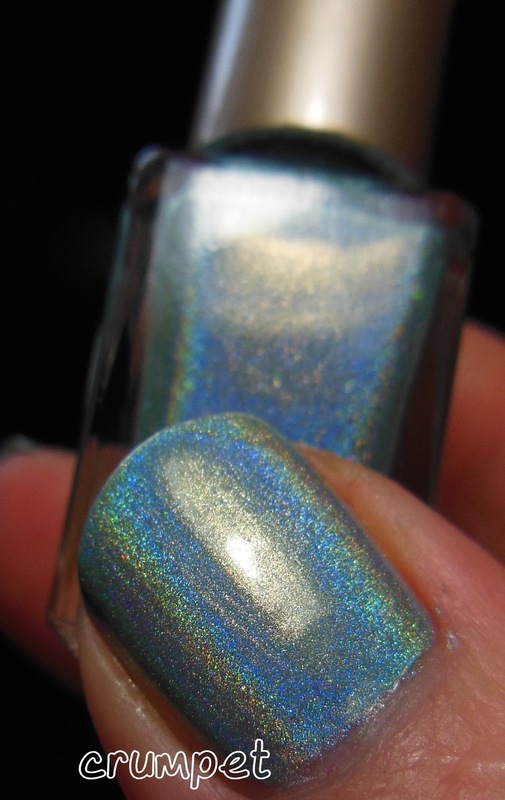 Too Fancy Lacquer is one of my favourite brands. She's like a good brand of shoes - I know her polishes will be "comfortable". Not only do they come in great colours, they apply easily, and are almost opaque in one coat. Utterly effortless nail polish. Now, this may surprise you somewhat, but the lilac polish? Not my favourite :) That just means the others are REALLY good. 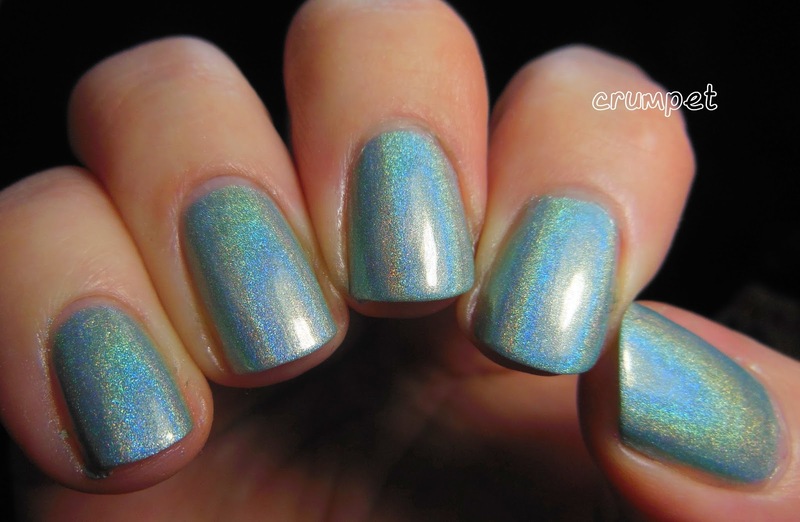 This lilac is silvery with green shimmer. In the bottle it's very noticeable, but not so much on the nail, which I think is a good thing. It allows it to be subtle without overpowering the beauty of the lilac. Lake Como is glorioso! Wow, what a stunning blue. 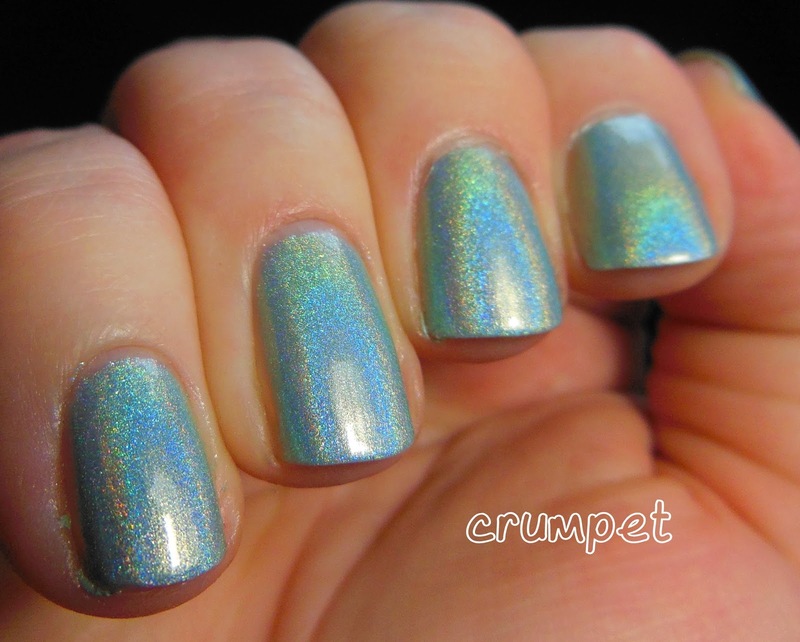 This is possibly my favourite of the 4, and at a push, you really could just apply one thick coat and be ready to go. 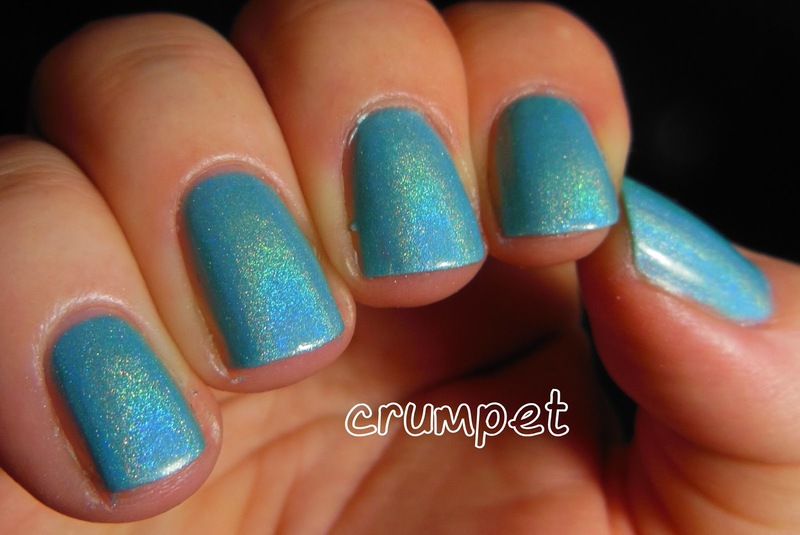 The win of this polish is in the hue - an utterly stunning sky blue that is just so bright and full of happiness. Beautiful. Spring In My Steps could be my favourite of the collection. It certainly surprised me when I wore it. It's a beautiful silvery pale green that has blue echoes in it. This one just catches the light superbly and is gossamer light and feathery. An utter stunner. And finally, Call Me Queen Bee. This made me laugh, as it's the title of a recent Digit-al Dozen post from my bestie, Bee of Bee Polished lol. Initially, I thought this was gold, but actually, this is liquidised holographic sand. It is THE exact colour of a sun-kissed beach. Heavenly. If you haven't yet dipped your toe in the Too Fancy waters, you really should. You will NOT be disappointed. You can follow them on Facebook HERE and visit their shop HERE.